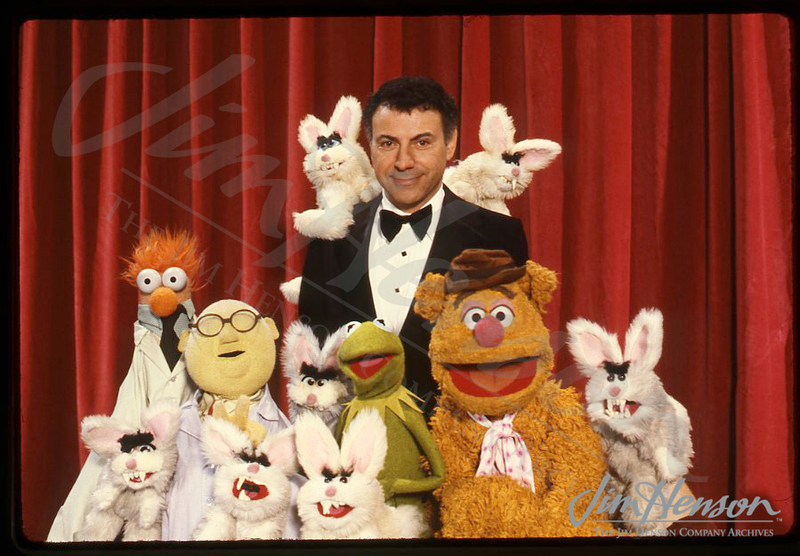 While Alan Arkin’s wide-ranging roles included performances in thrillers and dramas, it was his comedy work in films like The In-Laws and The Russians Are Coming, The Russians Are Coming that would have made him an attractive choice to guest star on The Muppet Show. In the years before, he performed in the folk trio The Tarriers with Pete Seeger and Glen Yarborough, and acted and directed both on and off Broadway, in films and on television. With his multi-talents, Arkin was ready for anything with the Muppets. The episode was nominated for an Outstanding Writing Emmy award, but perhaps most memorable for Arkin was seeing his thirteen-year-old son Tony backstage. With an interest in puppets, Tony was allowed to operate a butterfly for the Bunbun Brothers’ number. Clearly, the whole experience was positive, and Arkin reunited with the Muppets in 2011 in their latest feature film. Alan Arkin with the transformed Bunbun Brothers. This entry was posted in 02-February '80, 1980, Muppet Show and tagged Alan Arkin, Bunbun Brothers, Doug Henning, Kermit, Miss Piggy. Bookmark the permalink.